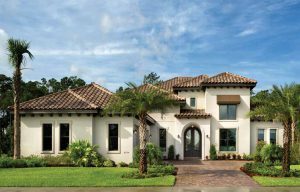 For Northeast Florida home buyers seeking nothing less than refined luxury and exceptional craftsmanship, Arthur Rutenberg Homes (ARH) is widely considered to be the builder of choice. 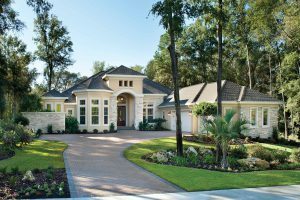 Local ARH franchisee Mark Refosco has cultivated this reputation, having grown the company to become one of the area’s largest luxury home builders with a presence in more than 20 First Coast neighborhoods (and more coming soon). In fact, the franchise, Marcus Allen Homes, was distinguished by ARH as Builder of the Year in 2010, and again in 2014. 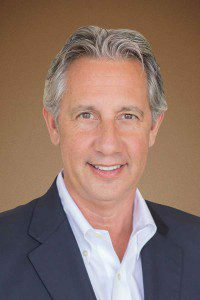 Mark boasts a solid background in architecture and engineering as well as a refreshing passion for delivering unwavering quality in custom design to each home buyer. His company reflects this passion in each of its 100+ luxury home plans. Seamless indoor-outdoor spaces and attention to every detail are hallmarks of ARH design. We recently caught up with Mark to learn about his franchise and some exciting new projects in the works. How long have you been an Arthur Rutenberg franchisee? I started my franchise in January of 2001. My first model was built in The King & Bear. We have been building in Duval, Clay and St. Johns Counties, and last year expanded our operational footprint to include Flagler County. What initially drew you to the Arthur Rutenberg brand? 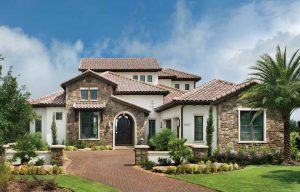 Arthur Rutenberg Homes is an architecturally driven company. We are regarded in the industry as continuing with our cutting edge home designs. We’re often imitated but the knockoffs miss many of the details that separate the real deal from the look-a-like. 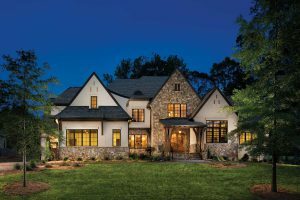 What sets Arthur Rutenberg apart from other builders? 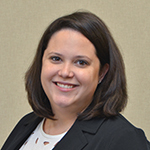 As a member of a franchise group, we have greater buying power, better and more diverse architectural offerings, better processes and benefit from the sharing of best practices among our ARH colleagues. More than sixty percent of products people buy today are from franchised businesses. Typically, a franchised product is more cost effective due to a broad sharing of resources and refinement. What is your favorite Arthur Rutenberg home plan? My personal home. Like all of the homes we build for our buyers, we started with a standard ARH plan and modified it to our individual tastes and requirements. We’ve lived in it for just over three years and love it more every day. Big open spaces, lots of glass, great for entertaining friends and family and energy efficient. What does Arthur Rutenberg have coming in the pipeline? We continue to sell Palencia from our exciting, new and hugely popular Bermuda model. There are still over 70 lots available in Palencia and it is becoming an even better location with the opening of the new Publix in a couple of months. If you haven’t seen Markland lately, you should. The second phase is developed and we are the exclusive builder of the lake to preserve lots at the southern (and much more private) section of Markland, which is called Wolfe Pointe at Markland. We continue to sell from our first model, but our new model will open to great fanfare in November. EvenTide on Ponte Vedra Boulevard in Ponte Vedra Beach is our newest community. It features 23 home sites with deeded beach access. Our model is currently in frame stage and will be just over 4,700 square feet with the typical outdoor living package including a pool, spa, fire pit and outdoor kitchen. This model will be in the $1.8M range but lot home packages will start around $1.3M. Coming soon is a yet to be named community in Ponte Vedra Beach located on Solana Road just east of the entrance to Marsh Landing. This community will feature 20 home sites and pricing will range from the $900K’s to $1.5M. 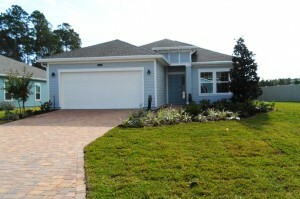 In Palm Coast, we have a new model opening in October in a community called Seaside Landings. Seaside Landings offers canal to intracoastal lots with lot house packages starting in the high $400K range. We will start a second model in Palm Coast located directly on the scenic portion of A1A, which we will use to market to the many developed lots in various Palm Coast communities. Of course, we always enjoy building on lots outside of our communities, which is typically more than fifty percent of our business. Come see us! If you have a lot let’s build on it! If you need a lot, let’s find one together! Check out ARH’s stunning home plans, and contact Mark and his team, by visiting ArthurRutenbergHomes.com/builders/MarcusAllenHomes. New Year’s Rental Special: Move in by January 15 & save $500! Davidson Property Management is celebrating the new year by offering a one-time special for a 3-bedroom, 2-bathroom home in the new Windward Ranch community. Sign on to a 12-month lease by January 15 and receive $500 off your January rent. That’s nearly 30% savings! Congrats to our Top Realtors for September & The Third Quarter of 2017! Our Realtors closed the 3rd Quarter of 2017 out strong! 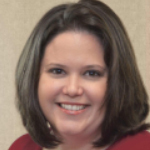 They brought in $30.4 million in sales and $27.3 million in closings! We also had a solid month in September with $10.5 million in sales and $6.5 million in closings. Congrats to our entire team on a job well done. Congratulations to our Top Realtors in August – These Ladies Came Out on Top! This blog is a little late being posted due to Hurricane Irma, but we didn’t want to miss the chance to congratulate our entire hard-working team on a great month in August! Our Very Own Jim Davidson Tells the History of World Golf Village Tomorrow Night! 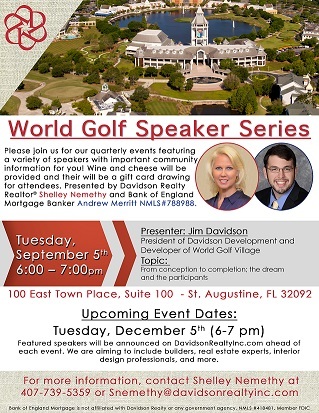 Davidson Realtor Shelley Nemethy’s quarterly Speaker Series event is presenting another great event tomorrow night, September 5th, at 6 pm at Davidson’s World Golf Village office. Jim Davidson, President of Davidson Development and Developer of World Golf Village, will be presenting on how the community came to be from conception to completion.